Welcome to my secluded wilderness home. Nestled on the banks of the pristine Hook Creek in the Shakespeare hills, this private 50 acre rainforest property is the perfect getaway for those seeking tranquillity and an authentic unique wilderness adventure. 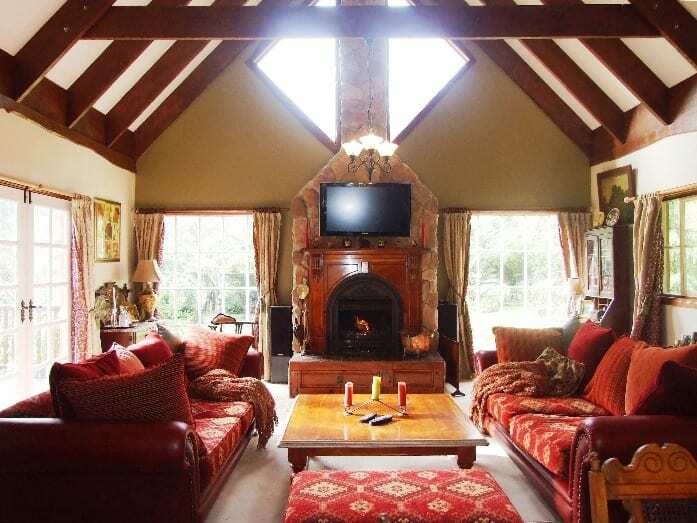 The Chalet is elegantly furnished with comfy old world charm and modern amenities, all set in landscaped gardens within a temperate rainforest. I m available to help make your holiday stay a delightful treasured experience. 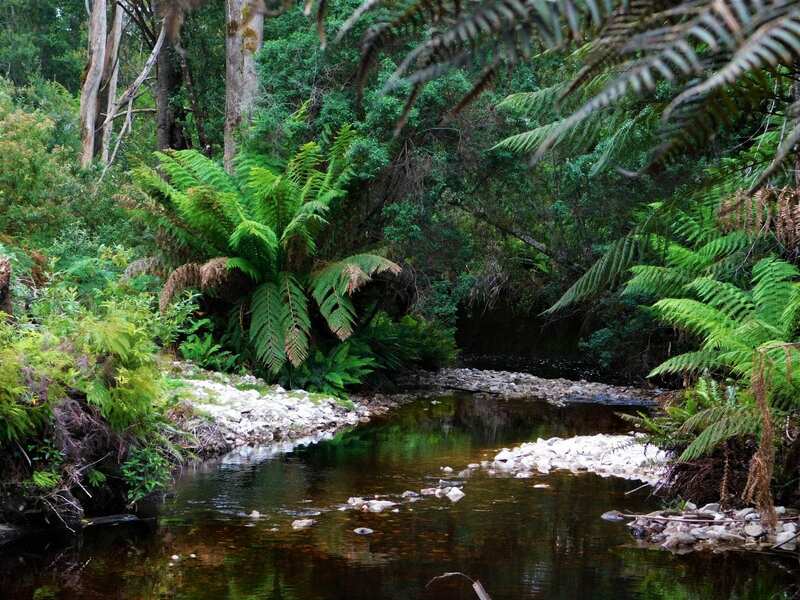 Breathe the freshest air and drink the purest natural water whilst picnicking, fishing, swimming or fossicking in the creek for a hidden treasure. Be delighted by a glimpse of a Platypus, the rare Azure Kingfisher, Wedge-tailed Eagle or the mighty Blue Giant Freshwater Crayfish. 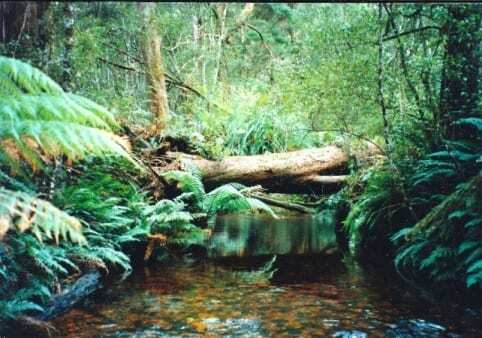 For an extra adventure take a bush walk into the hills, valleys and along the creek. 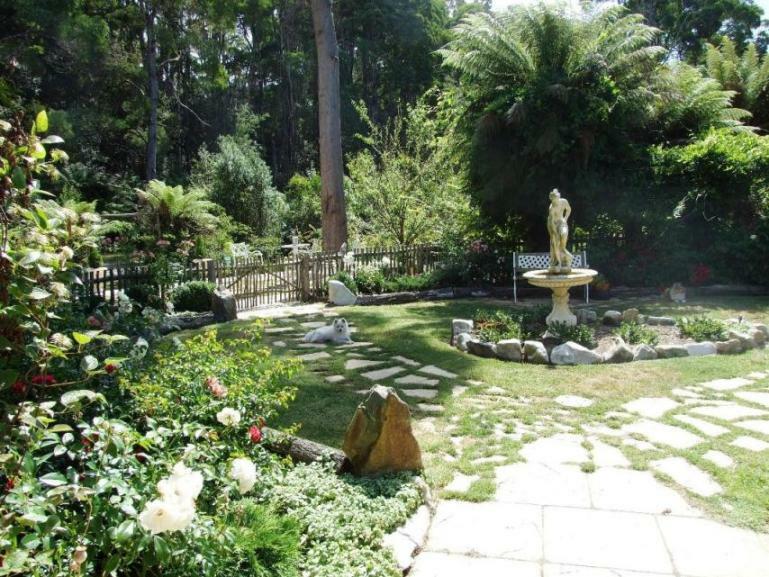 Enjoy breakfast on the veranda to the sound of the many native birds; relax on the afternoon sun deck; pamper your self in the huge bubble bath that opens up to the garden and over looks the creek. Indulge in fresh local Tasmanian produce and wines in front of the open fire or alfresco dine by the creek. Self cater in the open plan designer kitchen with it s slow combustion oven and gas cook top. Experience and learn about solar powered living. 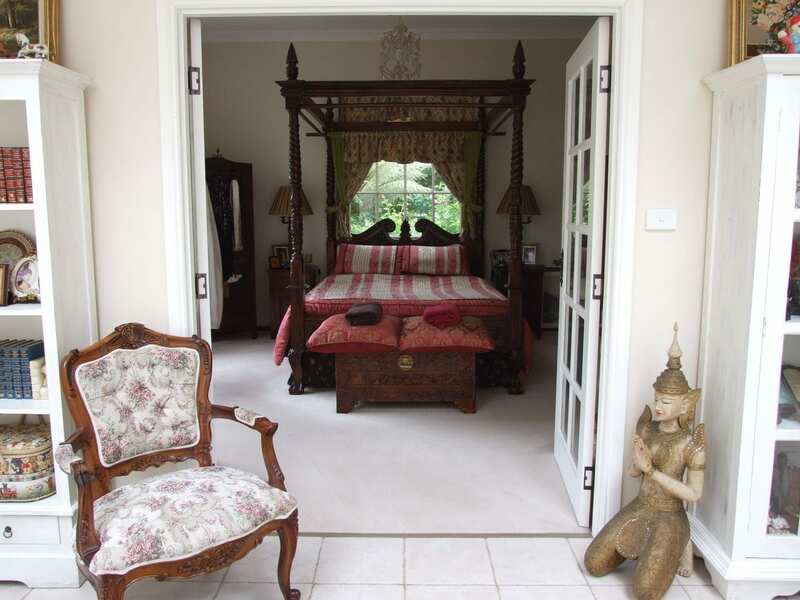 JULIET S SUITE – situated on the ground floor with a queen size 4 poster bed and it s own entrance and sunroom overlooking the creek and courtyard. ROMEO S LOFT – encompasses the whole 2nd floor. A combined bedroom and lounge, the treetop loft is open plan and overlooks the main lounge as well as having it s own balcony overlooking the creek. This room has 1 queen bed and one single mattress. The gateway to the Tarkine, Shakespeare s Wilderness Chalet is located in the heart of the Shakespeare Hills in Far North West Tasmania. 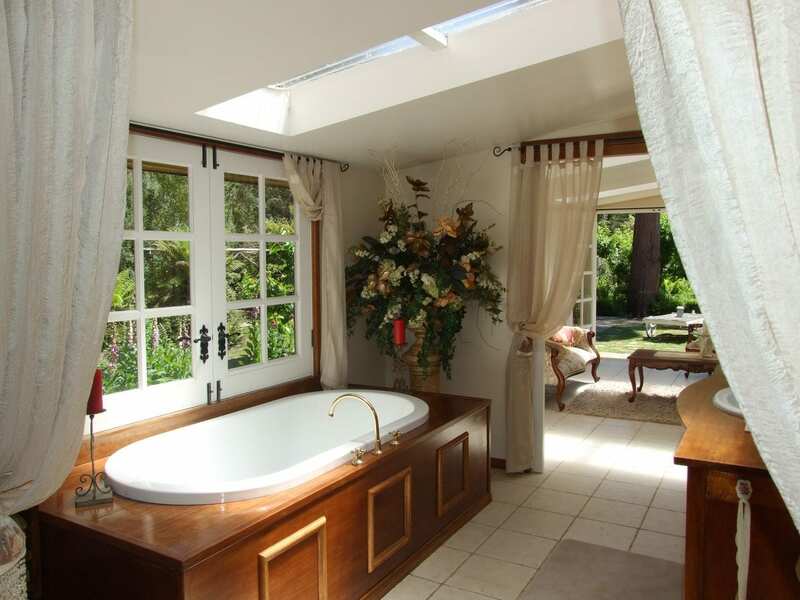 Bordering the Shakespeare Hills Nature Reserve, and just 10 minutes drive to the beach, Rocky Cape National Park and Rocky Cape Tavern and Bistro. 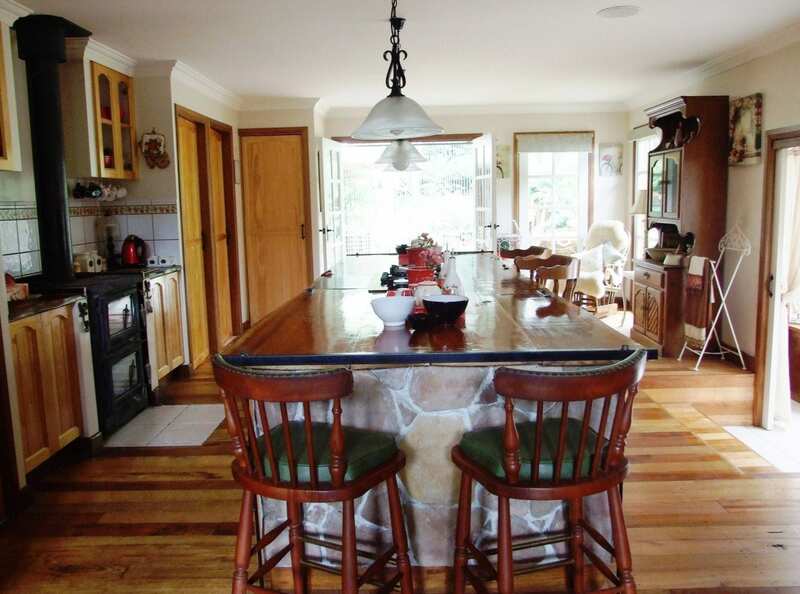 The advantages of this location are it s closeness to nature and wildlife, ambience, tranquillity, serenity and central position to the Tarkine, Stanley – the Nut, Cradle Mountain, Central highlands, trout fishing, the unspoilt far N/W beaches and café/restaurant/op-shop hubs along the coast. It also gives the distinct advantage of being uniquely and privately located. 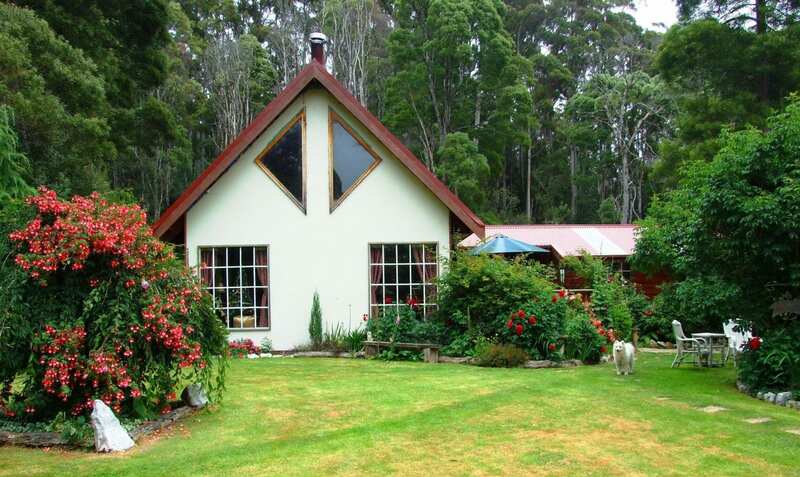 Whether you are looking for a romantic getaway; simply want to relax and be spoilt; a wilderness adventure; or a rainforest hub from which to further explore the Tarkine region, Shakespeare s Wilderness Chalet is a great place to stay. Please note – the last part of the access road is a bush track and not suitable for low road clearance vehicles. An SUV, 4-wheel drive or high road clearance vehicle is required. Alternatively safe, off-site parking and local pick-up/drop off to your vehicle or public transport (Redline Coaches stops at Rocky Cape Roadhouse -10 minutes away) can be arranged. Outdoor Facilities: Balcony, deck, terrace overlooking creek. 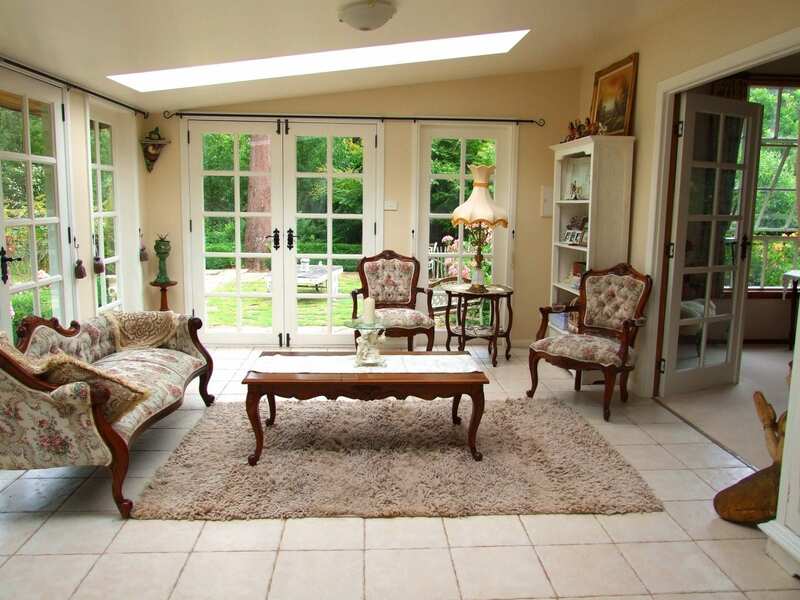 Verandah over looking garden. Cancellation: Cancellation policy - must give 30 days notice if cancelling booking to be able to get a full refund. No refund given if cancelling less than 30 days prior to check-in. House Rules: No shoes inside. Please use towel when using sitting areas when not clothed. Clothing optional. Please note - this is an off-grid solar powered home. Access to property is via a bush track and requires a vehicle that is not too low to the road, an SUV, 4 wheel or high road clearance vehicle is required. Hi, I’m an avid gardener, interior decorator and wilderness explorer. I enjoy meeting new people and hearing about peoples experiences. I look forward to hosting you!